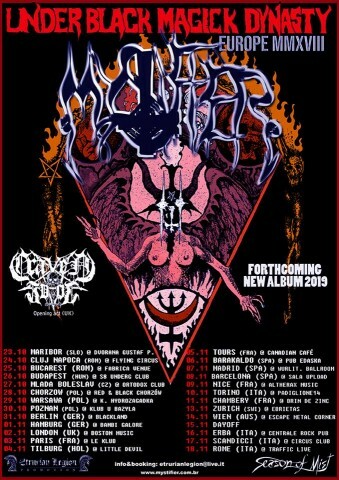 The Brazilian black/death metallers Mystifier are about to embark on their European tour. The rampage will kick off at the Dvorana Gustaf in Maribor, Slovenia, on October 23 and will last until the end of autumn with a final concert on November 18 in Rome, Italy. Season of Mist previously announced the signing of Mystifier. 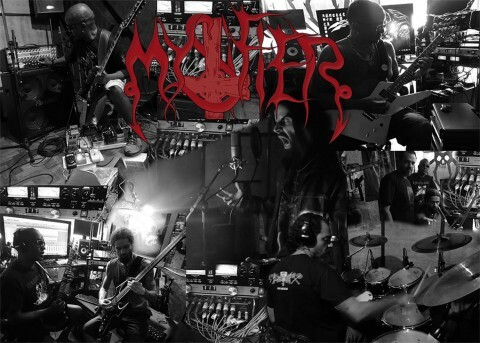 The Brazilian black metal underground outfit will release their next album through the label in 2019, 18 years after the release of the previous 2001's LP "Profanus". Mystifier comment: "We have spent 29 years on the road and 17 years without releasing an album. Finally, we have signed a deal for a new record with one of the biggest labels of extreme music. We were introduced to Season of Mist boss Michael Berberian during our European tour, 'Bloodshed Rituals 2016' with Rotting Christ, but we never imagined becoming a part on such a select roster. We expect our alliance will prove beneficial for all parties involved and we extend our gratitude to every fan, producer, photographer, sound and light engineer, fanzines, record label, tour manager, and everybody else, who took part of our long underground history. Towards infinity!"